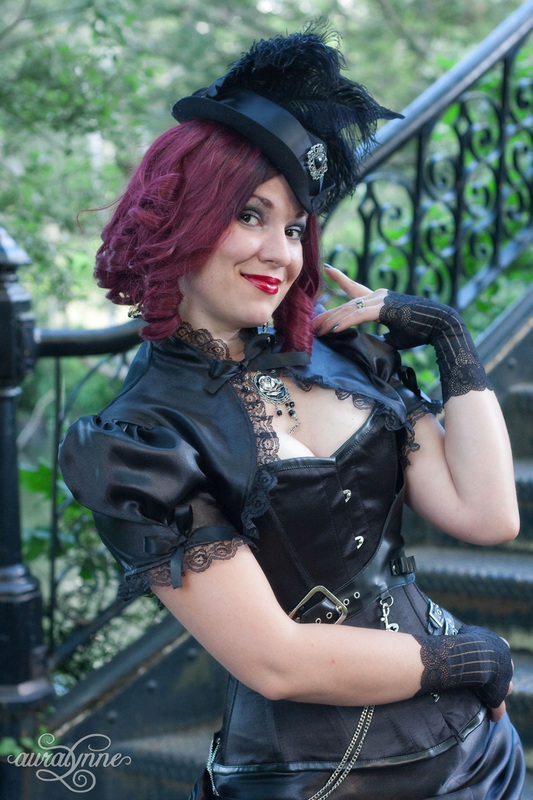 This black steampunk dress has been a long time coming! I make dresses in this style fairly often by special request. It’s my popular “Vintage Diva” bustle skirt – but with an added fluffy ruffle to bring it down to knee length. My sister (modeling in these photos) is pretty tall with long legs – so on most people, this gothic dress will be fully knee length. 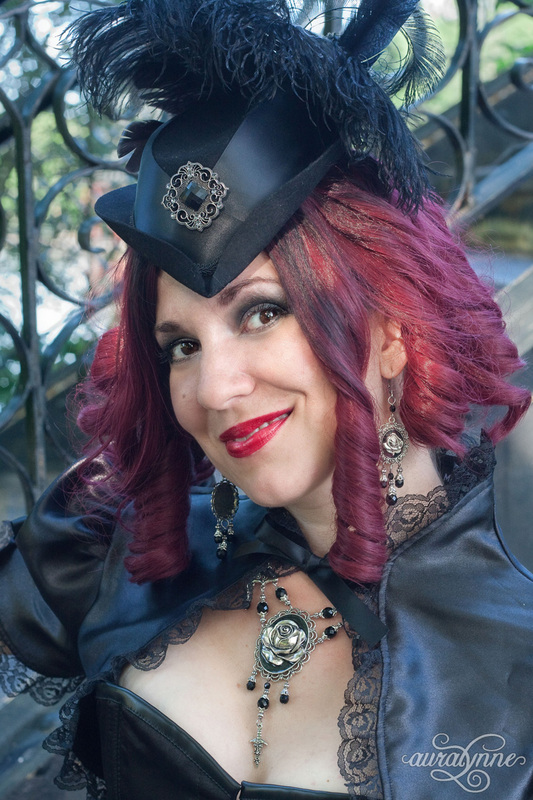 Do you like the lovely gothic necklace and earrings she’s wearing in these pictures? They’re posted here and here in her Etsy shop. The corset she’s wearing is from a new supplier. They are AWESOME corsets – full steel boned, uber curvy, heavy duty, and available in a plethora of styles and color combinations. They come in all sizes, and can even be customized to measurements for unusual figures. I’m excited to start offering them in my shop! This one-of-a-kind dress is listed for sale here. 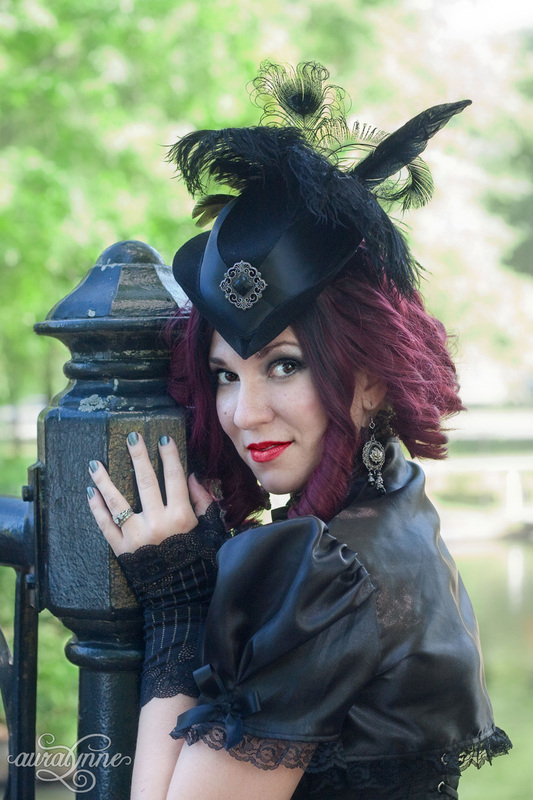 And you can purchase the hat in the pictures here.